Shreeji Fine Chem are offering wide range of Calcite powder Manufacturer in India, Gujarat, Palanpur, which is extracted from pure stones. It is then processed to obtain various grades of calcite powder, which is used in different industries like: adhesives, ceramics, plastics and many others. Shreeji Fine Chem , a reputed company pioneer in manufacturing of quality Calcite Powder. Our company is establish in 2008. 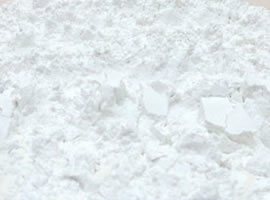 We offer natural Calcite Powder Supplier in Palanpur, which is a natural calcium carbonate that are highly pure and free flowing in nature. Calcite powder is offered in various packaging option and are packed in a safe and efficient manner so that the calcite powder exporter in Gujarat remains effective and pure till the end. We have aim to provide the clients with high quality products and services. Our Calcite powder Manufacturer in Palanpur can be availed at the most affordable prices possible. The Ceramic Market can be devided in two major segments. Ceramic glass bodies and porons ceramic tiles. Besides silica sand, calcite is another main component in production of ceramic. Calcite is an economical source of calcium oxide, which is needed as a melting agent at high temperature, and which also improves the mechanical and chemical strength of the glass body. Furthermore calcite also reduces shrinkage from firing. Calcite powder Exporter in India offered by us is widely used as a mineral filler, to retain high humidity, and to improve the consistency and dryness of the final mass. Furthermore it does not alter the physical or chemical properties of soap products, nor does it alter the viscosity of the mix. Our calcite powder has adequate abrasiveness, which helps to improve the cleaning action of soaps and detergents. Moreover It is not retained by textile fibers, since is does not contain silica in a free stage, and hence does not damage the fabric. Our calcite powder is also used as a secondary pigment. Shreeji's product range includes poultry and cattle feed supplements and various products for the agricultural industry. Our range immensely benefits manufacturers and suppliers of poultry and agricultural products. Due to low oil absorption, high impact resistance, smooth surface, easy processing and excellent dimensional stability, Shreeji's calcite powder is widely used as a filler in the plastic industry. Our calcite powder is indispensable for lustration of naturally transparent man-made fibers.